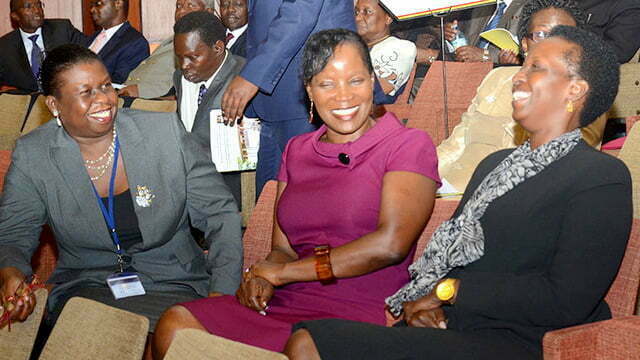 L-R: URA's Doris Akol, KCCA executive Director Jennifer Musisi and UNRA's Allen Kagina. Courtesy Photo. Parliament’s committee on Commissions, Statutory Authorities and State Enterprises (COSASE) has recommended that all beneficiaries of the oil tax cash from the president refund the money. The notable beneficiaries of the six billion shillings, dubbed a presidential handshake, include Doris Akol, the Uganda Revenue Authority (URA) Commissioner General, Uganda National Roads Authority (UNRA) Executive Director, Allen Kagina and Kampala Capital City Authority (KCCA) Executive Director, Jennifer Musisi among others. 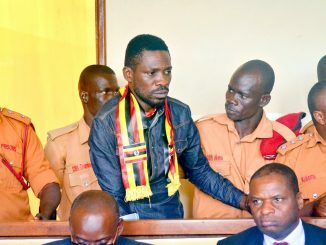 The list also has former Attorney General Fred Ruhindi, State Attorney George Kalemera, Solicitor General Francis Atooke and the Secretary to Treasury, Keith Muhakanizi. These are part of the 42 public officers who received the money for their role in the 400-million-dollar Heritage Oil arbitration case which Uganda won. Speaker of Parliament Rebecca Kadaga in January directed the committee chaired by Bugweri County MP Abdu Katuntu to investigate the oil cash bonanza and report back to parliament in two months. The reporting time was later extended. 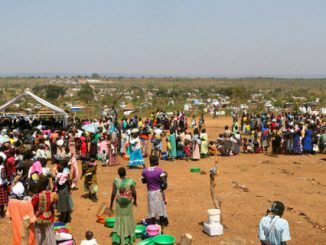 The committee has since been interfacing with the beneficiaries as well as President Yoweri Museveni who okayed the payment. The committee observations indicate that the payment of the six billion Shillings was managed by the URA Commissioner General with the payment being a reallocation of the money from the URA Tax Refund Account to URA Expenditure Account, something that the MPs say contravenes the law. Following the reallocation, Akol suggested that a supplementary to URA for the same amount be considered and handled by the finance ministry. Further committee observations on correspondences between President Museveni, former attorney general Fred Ruhindi and URA’s Akol indicate that the presidential handshake team requested or solicited for the reward. “It is evident from the President’s letter and testimony corroborated by the Commissioner General’s letter that the team which met the President at his country home in Rwakitura on the 17th May 2015, requested for a reward and the president agreed to reward them,” reads part of the report yet to be debated by parliament. The committee also observes that it is clear from Akol’s letter dated 26th June 2015 that the President instructed her to propose an “adequate reward” following a request by the team to the president. Besides pinning the beneficiaries on soliciting the reward, the committee also observes that the payment of six billion Shillings was contrary to the standard practices of rewarding public officers as provided for in the Public Service Standing Orders. According to Paragraph 19 of the Public Service Standing Orders, teams and institutions may be rewarded but paragraph 20 restricts the scheme to non-monetary awards. The procedure for the awards is further provided for under Paragraph 22 and entails the constitution of an Awards Committee by the responsible officer to receive, evaluate the nominations and approve the awards. “For this “handshake” to qualify as an award under the Public Service Standing Orders, the procedure should have been followed. This was not the case,” reads the report. The committee further indicates that evidence obtained from URA shows that the “handshake” was not provided for under the Authority’s Human Resource Manual. COSASE now recommends that the Inspector General of Government (IGG) Irene Mulyagonja institutes investigations with a view to holding all officers who flouted the Uganda Public Service Standing Orders and other laws culpable and establish the possible offences. 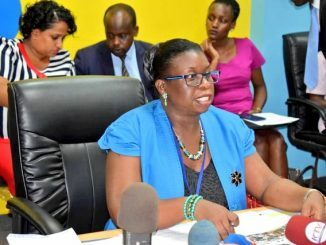 Although the report does not explicitly name the officials who flouted the law, it faults Akol for violating the URA Act and the Public Finance Management Act (PFMA) by authorizing the withdrawal of the money from the URA Account without the approval of the Authority’s board. The committee also recommends that the supplementary request of the six billion Shillings currently before parliament should be rejected because the payment created a liability infringing section 22 of the Public Finance Management Act. It should be remembered that in his meetings with the committee, President Museveni reportedly agreed to personally refund the money given to the officials indicating that it was wrong for the money to come from URA budget instead State House.